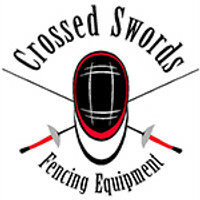 Suitable for Feder and longsword fencing as well. Stainless steel, extra long mesh for higher protection of the back of the head. Safety steel reinforcement inside the mesh to provide an even more durable solution against the continuous hits. Extra PVC band at the forehead prevents the head from sliding forward. Size 1 for average adult, size 2 for large head. Please take into consideration that SIZES ARE SLIGHTLY BIGGER THAN OUR STANDARD MASK'S. HEMA products can only be exchanged when new and unused. Due to the nature of this combat sport, the participant should inspect their equipment before each use and ot use if there is a safety concern.